Boston — Building on the Baker-Polito Administration’s strong leadership to mitigate and adapt to climate change, Governor Baker today signed an Executive Order which lays out a comprehensive approach to further reduce greenhouse gas emissions, safeguard residents, municipalities and businesses from the impacts of climate change, and build a more resilient Commonwealth. 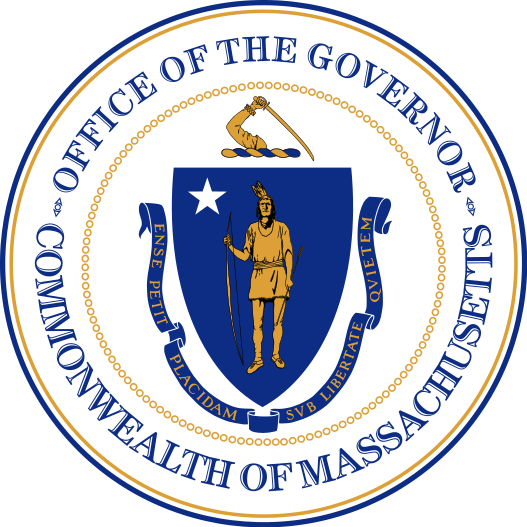 The Order, Establishing an Integrated Climate Change Strategy for the Commonwealth, represents the collaboration between the Office of the Governor, the Executive Office of Energy and Environmental Affairs, the Executive Office of Public Safety and Security, and key state, local and environmental stakeholders. The Executive Order ensures that Massachusetts will continue to lead by example and collaborate across state government to reduce greenhouse gas emissions and build resiliency within government operations. The Order also directs the Executive Offices of Energy and Environmental Affairs and Public Safety and Security to lead the development and implementation of a statewide comprehensive climate adaptation plan that will provide a blueprint for protecting the built and natural environment of the Commonwealth, based on the best available data on existing and projected climate change impacts. Additionally, each Executive Office within the Baker-Polito Administration will be required to designate a Climate Change Coordinator who will work to complete a vulnerability assessment for each office, and assist with implementation and coordination of adaptation and mitigation efforts across state government. "Addressing the challenges of climate change requires a broad and comprehensive strategy,” said Secretary of Transportation Stephanie Pollack. “This Executive Order will ensure state and local officials have the resources and support needed to promote sustainable growth and development that protects communities and natural resources across the Commonwealth." Recognizing the need to strengthen the resilience of communities throughout Massachusetts, the Executive Order directs the Executive Office of Energy and Environmental Affairs and the Executive Office of Public Safety and Security to coordinate assistance to cities and towns as they prepare for the impacts of climate change. To further position Massachusetts to meet the state’s environmental requirements under the Global Warming Solutions Act, the Executive Order directs the Department of Environmental Protection (MassDEP) to engage stakeholders, examine emission limits from a range of sectors, and outline a timeline to promulgate regulations to ensure the Commonwealth meets statewide carbon reduction targets. In addition, the Baker-Polito Administration will work with state and regional transportation leaders, and environment and energy agencies to outline additional steps necessary to develop regional policies to reduce transportation sector emissions. The work will be concurrent with efforts to continue to lead on reform of regional electric energy markets so that power generators can all compete to meet the state mandates for clean energy. The state will also complete a comprehensive energy plan that will enable forward-looking analysis of energy demands and strategies for meeting these demands that include conservation, energy efficiency and other demand-reduction resources. The Executive Order, which will be reviewed again in 2019 and every five years thereafter, builds upon significant efforts already ongoing across the Baker-Polito Administration to mitigate and adapt to climate change. 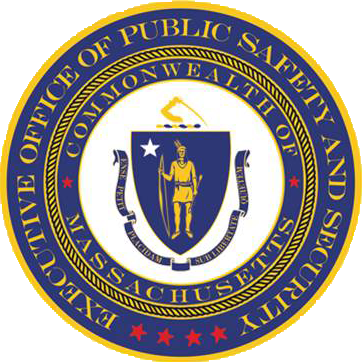 Initiatives and programs underway across state government include vulnerability assessments and resiliency plans within the Division of Capital Asset Management and Maintenance, Department of Transportation, Massachusetts Water Resources Authority, Division of Fisheries & Wildlife, and MassPort. To address mitigation, the Commonwealth has been working since 2008 to implement the Global Warming Solutions Act, and has numerous policies and initiatives in place to help meet emissions reduction limits. Other existing initiatives and grant programs include the Dam and Seawall Repair Fund, the Coastal Resiliency Grant Program, the Lead by Example Program, the Community Clean Energy Resiliency Initiative. Climate change initiatives are also currently underway at regional planning agencies and in inland and coastal communities across Massachusetts. Our mission is to deliver excellent customer service and safety to people traveling in the Commonwealth. We work to provide our nation’s safest and most reliable transportation system to strengthen our economy and quality of life.